UTAMAGAS SDN BHD (Star Shuttle) was incorporated in 30th June 2004, Star Shuttle came into operation in January 2007, a public transport company that provides a direct, non-stop shuttle from Klang Valley to LCCT and with quality service, affordable, comfortable ride and reasonable price to the passengers. 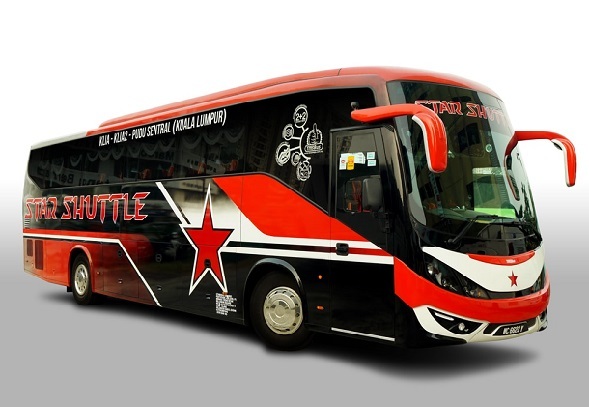 Star Shuttle provides a point to point shuttle service from Klang Valley to the new Low Cost Carrier Terminal (LCC-T). Star Shuttle currently own a total of 20 unit buses; boasts a fleet of 36 seater air-conditioned coaches with adequate luggage space. Our aim and objective is to provide a direct, non-stop shuttle from Klang Valley to LCCT and with quality service, affordable, comfortable ride and reasonable price to the passengers, a point to point shuttle service from Klang Valley to the new Low Cost Carrier Terminal (LCC-T). Star Shuttle currently own a total of 20 unit buses; 36 seater air-conditioned coaches with adequate luggage space. Our objective is to provide smooth, fast and effective alignment between our transport services and flight schedules. To provide and support the public transport infrastructure and system development in Klang Valley to LCC-T.
To lead the integration of common ticketing system and physical integration for a seamless interchange between modes and stations. Total low cost solution in which total cost of flying land and air has now become more affordable. Encourage further use of public transportation due to increased fuel price in the country. Service efficiency will be increased. (i.e busses, vans against taxis and the ERL).